While Georgia temperatures are on the rise, homeowners find themselves on the fence yet again, juggling the cost of energy usage and the need to maintain a comfortable environment. Seemingly, those with older HVAC systems assume that their units will work harder to achieve the same output as newer, more energy efficient systems. On the surface, this is a valid assumption. Yet, many are surprised to learn that errors in installation have resulted in an increase in energy consumption in systems that are less than 3 years old. In fact, Piotr Domanski of CDH Energy Corp has reported “measurements indicate that improper installation could increase household energy use for space heating and cooling on the order of 30 percent over what it should be.” For this reason, consumers are encouraged to consider quality HVAC installation from licensed and insured technicians in order to get the most out of their system. 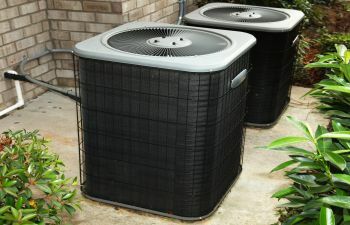 The above-mentioned statement by Domanski is in response to evidence in the field indicating that the standard installation of HVAC equipment is wasting energy due to faulty techniques and tactics. Some of these include leaky ducts, improper charging of refrigerant, oversizing of systems and restricted airflow. Of these errors, leaky ducts are among the most common. Specifically, when climates are hot and humid, duct leakage has been shown to increase the level of indoor humidity. When this happens, homeowners lower their thermostats in an effort to cool down. Yet, in doing so, they are cranking up their energy usage. At ClimateSmith, LLC, we understand that everyone is looking for a way to lower costs and save money. Fortunately, we can help. By performing an AC Systems Analysis, we can tell you how much energy you’re consuming, as well as your costs and potential savings. Specific services include temperature control, water treatment, air distribution, energy consumption, indoor air quality testing and AC and heating service. With a greater understanding of your system, you can save a substantial amount of money on a monthly basis, not to mention preserving natural resources and reducing pollution. To schedule your system analysis in Alpharetta or surrounding areas, call the qualified technicians at ClimateSmith, LLC today!